Many right-wingers are saying their final goodbyes to the New Democracy party after the shocking uncovering of the scandal in the Supreme Court. 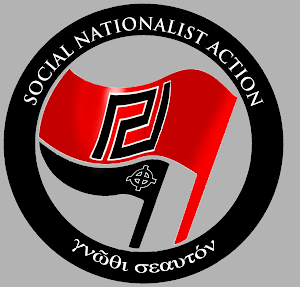 It has been proven that New Democracy has set up a state mafia with certain NWO agents to suppress Nationalist and Social Nationalist thoughts, creating an unprecedented deep state that was denounced even by the former PM, George Papandreou, who requested his party to abandon the government coalition, an event that would lead to national elections. 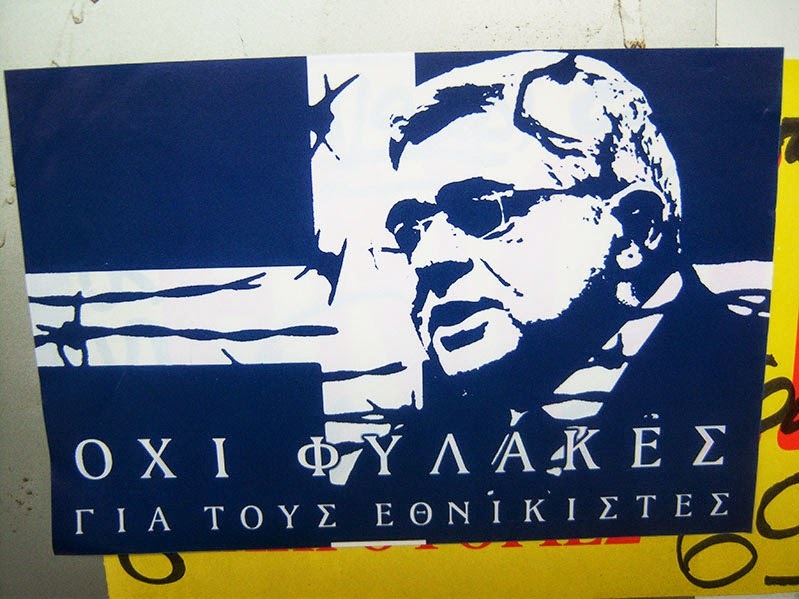 The voters of the traditional right wing, that forms a voting base of about 35% of all Greeks, belong essentially in the past for ND and this is a direct conclusion from the Mpaltakos scandal, that proves the existence of a conspiracy among high-ranking government officials that aimed not only to destroy the People's Association of Golden Dawn, but also the ideas of revolutionary nationalism. For the record we should note that the (now resigned) Secretary of State has rescued PM Antonis Samaras many times in regards to maintaining the right-wing votes, from blocking the unconstitutional anti-racist laws to demanding the presence of the Armed Forces in the national parades, to requesting that only Greeks should join the Armed Forces, an effort that was blocked by coalition partner Vagelis Venizelos. His latest effort was to create a law that deported immigrants that lied about violent mistreatment from the authorities. Also, a new law that lifted taxes and returned big payments to personnel of the Armed Forces and the Police (in fear of a coup?) was also his achievement. The New World Order is being built on lies. T. Blair, Britain's biggest ever traitor, lied to the British Nation and to the Parliament. Treason, lies, corruption, all being exposed by Golden Dawn and they should, and must be tried for all their crimes, including the scum like T Blair & G Bush. Nobody wants, nobody likes, kikes, kikes, kikes --and yes Anglin there is Jew Conspiracy...Samaras took his marching orders fron David Harris T AJC and Moshe Kantor of EJC; the Moscow Marxist filled his head And bank account) with tons os euros...all the selfies in athens won't change that boy. PS/ It will be Samaras that dangles on a rope this time next year. Time to kick all Jrws out of Hellas. The Jew has always infiltrated offices of power, their insidious fifth column has infiltrated about every government and banking system in the Western World to the detriment of everyone who is a non Jew, they pervade the earth like a parasitic cancer, starting war’s and playing both end’s against the middle. The Rothschild banking family have played a major role in every war that the Western World has been involved in. We hear so much about the Jew holocaust and the death of 6 million Jew’s, always given a continual rebirth yearly to gain sympathy, their Jew hypocrisy is without any bounds. However we don’t hear about the 20 million Russian’s that were murdered by the Jew’s at the beginning of the 20 century, and one must ask why that is? 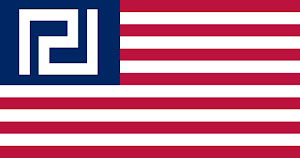 It has now become penitently clear that the one race responsible for the most contrived instigated corruption and suffering is the Jewish race, with the NWO. The evidence is there for all to see, as it is written clearly throughout history. 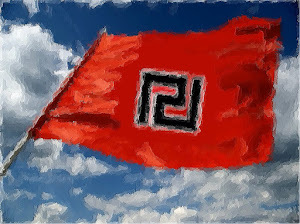 Not only should the traitorous scum puppet politician and judiciary be put up against the wall and shot for national treason but the Jewish Central Committee who in essence are the Zionist presence in Greece should also be lined up and shot as well. There are also many so called 'Greeks' who should be torched to death they are the so called progressive left Syria Communist Anarchists who are destroying anything that is Hellenic and traditional such as Armed Forces, Family and Orthodox religion.